Always a pleasure going here staff is fantastic! From service dept parts dept salesmen. Even ran into the owner super nice. Will go back everytime great service! 5 stars! they were able to get my Jeep in right away. The service manger Brandon took the time to go on a ride with me so he could hear the noise I was talking about. The service advisors Andrew, Kevin, Tom and Emily are all very nice and welcoming when you come into their department. 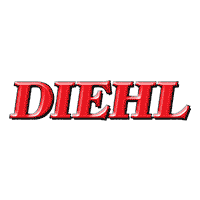 The only problem with Diehl is when you call in and leave a message good luck getting your call returned in a reasonable time frame. Who ever is in charge of answering the phone is very bad at their job. Thanks so much for the courteous, professional manner in which you handled my repair. I appreciate the care you took with my car inside and out!